Duelling diesel: From left: Prof. Sage Kokjohn, researcher Derek Splitter, PhD, and professor emeritus Rolf Reitz show off the reactivity-controlled compression ignition engine that mixes diesel with gasoline to achieve efficiency of up to 59 per cent, nearly twice that of conventional gasoline engines. While the world awaits Volkswagen’s fix for its diesel-cheating scandal, researchers at the University of Wisconsin Madison have developed an engine considerably more efficient than diesel, but without diesel’s significant emissions problems. The reactivity controlled compression ignition engine, according to Prof. Rolf Reitz, achieves efficiency within one per cent of the theoretical maximum of 60 per cent for internal combustions engines, compared with diesel’s approximate 40 per cent efficiency. The engine uses both diesel and gasoline: a typical gasoline-air mixture is injected into the cylinder, and near the top of the compression stroke, a small amount of diesel, which aerates to fill the available space, is injected. The remaining compression stroke ignites the diesel, which completely ignites the gasoline. The prototype runs like a locomotive in a modified Ford Escape: the engine powers a generator that powers an electric motor. The challenge now is to make it operate over a wide range of engine conditions so it can run like a conventional engine. 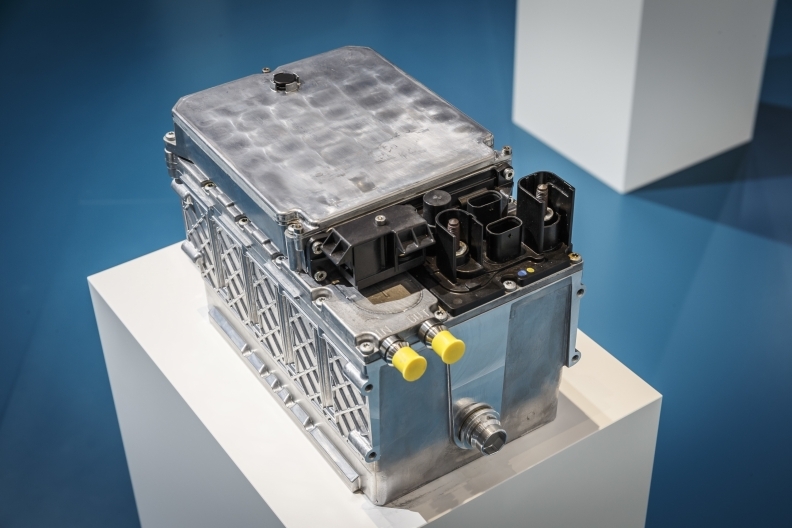 Improved efficiency: Mercedes-Benz's 48-volt hybrid system promises mild-hybrid benefits but with a much smaller battery and fewer safety concerns. Mercedes-Benz expects to introduce 48-volt electrical systems on some of its high-end vehicles as early as next year, while Delphi is promising a 10 per cent boost in fuel economy from the 48-volt system it is developing. Math doesn’t lie: electrical power is a function of voltage and current, and today’s 12-volt systems just won’t stand up to tomorrow’s electrical requirements, or today’s for that matter. At 48 volts (12x4), a carmaker can either get four times the power with the same amount of current, or get the same power at one-quarter the current. Either way, efficiency is improved. In Mercedes’ case, the 48-volt system will allow it to power a mild-hybrid inline six-cylinder engine expected in some 2018 models, while avoiding the major safety issues of the 400- to 600-volt systems on today’s gas-electric hybrids. Armani, Hugo Boss, Canali… Tesla? Will you find your next car as you’re browsing for a new suit? 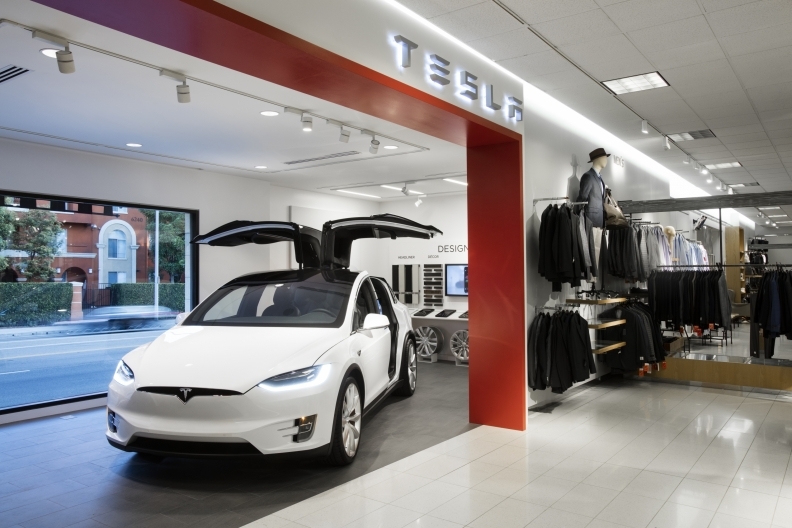 Tesla Motors and Nordstrom’s hope so, with an experiment in automotive retailing certain to make other luxury carmakers take notice. No word on whether the partnership will come to Canada in its three Canadian stores and three stories arriving this fall, but could the idea take off? Volvos at Ikea? Jaguars at Holt and Renfrew? Fords at Wal-Mart? Take any advanced driving course and one of the first things you’ll be taught is weight transfer, particularly the benefit of transferring weight (kinetic energy) to the front wheels when you’re about to enter a corner. That transfer plants weight on the front wheels and improves their grip to help steer you around the corner. It’s usually something you have to do yourself, by letting off the throttle slightly or even dusting the brakes. Now, new Mazdas will do it for you. The new G-Vectoring Control detects the start of a corner and retards valve timing just a bit; the resulting deceleration offers up to 0.5-g of weight transfer forward, depending on how much the wheel is turned. It’s not enough to upset the car and cause a spin, and most drivers likely won’t even feel it, according to Mazda. 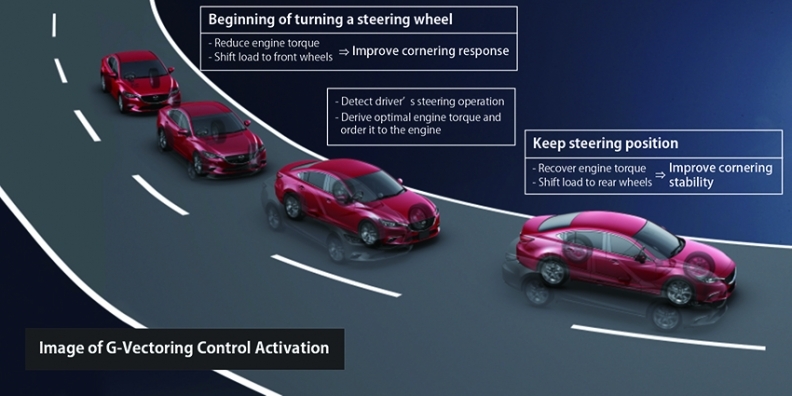 G-Vectoring Control will appear first on the 2017 Mazda6 and then on the 2018 Mazda3. This Mazda-supplied video demonstrates the advantages on snow-covered roads. https://www.youtube.com/embed/02tIMWl25K0.